Many metal-oxygen compounds are electrical insulators. Some combinations of such insulating oxides have conducting interfaces, however. This conduction is two-dimensional: electrons can move along the contact surface but not in the third direction. In this programme, researchers want to further investigate characteristics of these conducting interfaces, especially the application in the next generations of nanoelectronics and sensors. 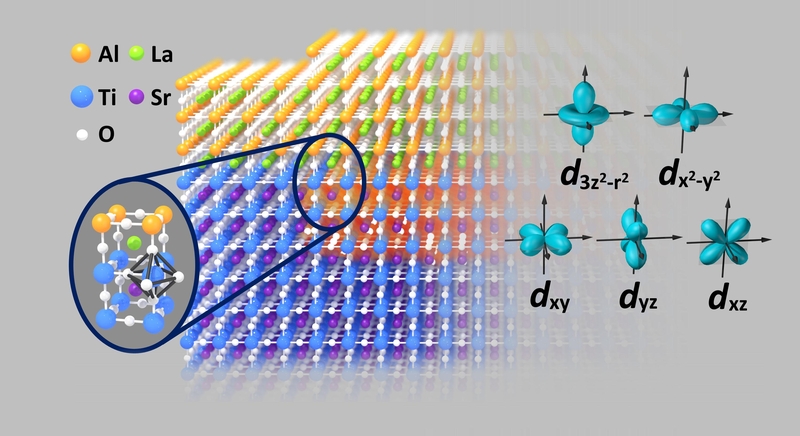 The combinations of oxides have considerable potential for electronic switches with dimensions smaller than about 10 nanometres, which is problematic using conventional semiconductors. The type of oxides determine exactly which functionalities the material acquires, such as a magnetism, ferro-electricity, piezoelectricity or high-temperature superconducting. 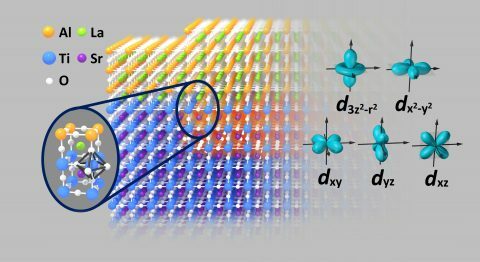 By making different combinations of materials and structuring the conducting interfaces at the nanoscale, the researchers want to find out more about the magnetoelectronic properties of the oxide interfaces and the quantum effects that take place there. In addition, they will explore the technological steps necessary to realise applications. Prof.dr.ir. Hans Hilgenkamp, programme leader: "One possible example is energy-efficient electronics – in which the electrical conduction or a magnetic spin current is switched using a small alternating current – or nanotransistors and 'memristors' with an inbuilt memory. The interfaces can also serve as chemical sensors, as the conduction of this type of oxide structures depends on the chemical particles they absorb." - Delft University of Technology: Dr. A. Caviglia and Prof.dr. L. Vandersypen. In the left part, the LaAlO3 layer is three crystalline unit cells thick, slightly more than one nanometre. In that case the interface remains insulated. In the right part, the LaAlO3 layer is four unit cells thick. Now it forms a conducting interface (indicated by a red colouration of the upper part of the SrTiO3). The electrons that provide the conduction have a d-orbital character, which leads to a rich graduation of possible characteristics. The different possible d-orbitals are sketched on the right. In the case of LaAlO3 on SrTiO3 the dxy, dyz and dxz orbitals are important but by adjusting the material composition the other orbital states also become relevant.